MAYOR INDAY DUTERTE: "I would like to continue working for Davao City as Mayor"
"I am overwhelmed by the trust and confidence. 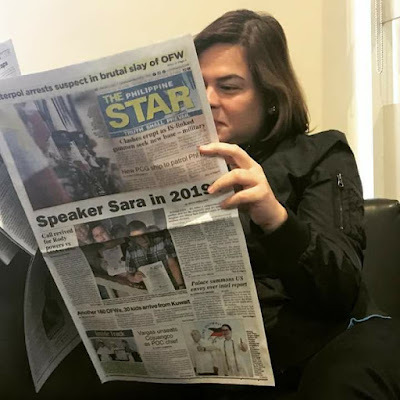 I think our fellow Filipinos are interested in the work that my administration, both now and in 2010, has done in Davao City," Mayor Inday Duterte said. "If the Dabawenyos will re-elect me, I would like to continue working for Davao City as Mayor," Mayor Inday added. During the current Pulse Asia Survey, Mayor Inday was on the 5th spot who have a statistical chance of winning in the next election. It can be recalled that she said she's not keen on seeking a national post (maybe at the moment).